It’s not all that uncommon anymore to have a both a smartphone and a tablet. We’re integrating these powerful mobile devices into our everyday workflow, and we need them to stay in sync. 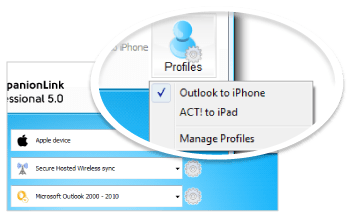 To help you keep up to date on all your devices, we created the “Profiles” feature, now found in CompanionLink Express and Professional 5. Profiles allow you to create unique sync settings for all of your different devices. In CompanionLink Express 5, you can create 2 Profiles; in CompanionLink Professional 5, you can create 5. Creating a Profile is easy – just click the Profiles button in the upper right corner of CompanionLink and select “Manage Profiles.” From there, you can add a new Profile, name it, and customize the sync settings. Whenever you want to switch profiles, just click the Profiles button, then select your desired Profile. CompanionLink will automatically adjust your configuration to match the settings you entered when creating that profile. Profiles make managing multiple devices easy and efficient. They’re perfect for those of us with a smartphone and a tablet. If you’d like to start using Profiles, but don’t own CompanionLink Express or Professional 5, you can upgrade or download a free trial today! 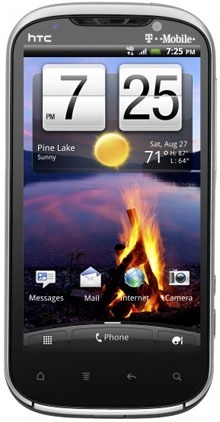 The HTC Amaze from T-Mobile is aptly named. This top-tier phone packs one of the most advances camera system currently available. Combined with its powerful processor and 4G speeds, the Amaze makes it easy to capture every moment quickly and easily. 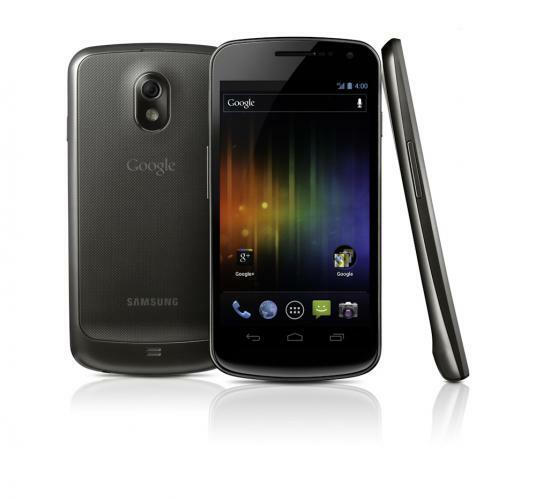 It’s available now from T-Mobile for $259. Clearly the Amaze is a powerful phone, but what if you need it to do more? That’s where we come in. 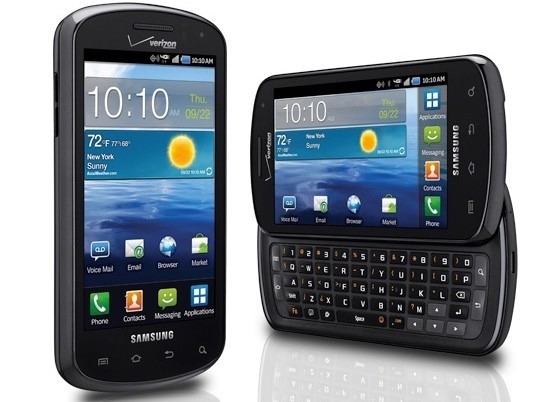 Using CompanionLink, you can sync the HTC Amaze with Outlook, Salesforce, ACT!, and more. 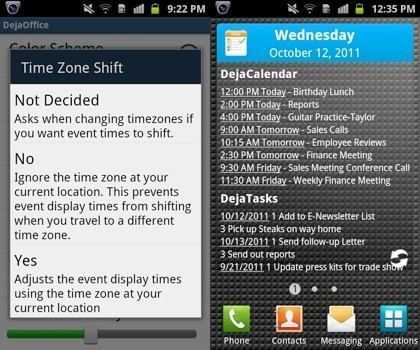 Use our free Android app, DejaOffice, to gain advanced control over all your contacts, calendars, tasks, and memos. Now that’s amazing. See for yourself with a 14-day free trial of CompanionLink. Be sure to download DejaOffice for free while you’re at it! 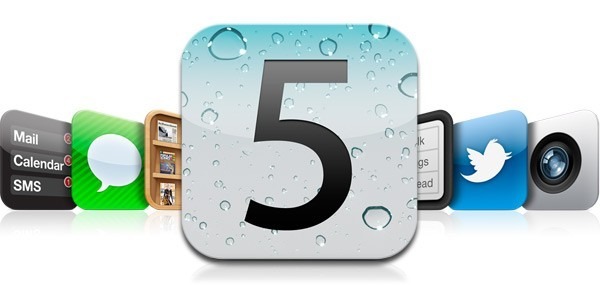 Just the other day, Apple revealed their latest iteration of the iPhone – the iPhone 4S. 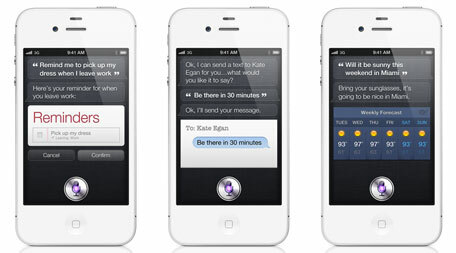 One of the biggest new features comes in the form of Siri, Apple’s self-described “humble personal assistant.” Using voice recognition technology, Siri is able to take verbal commands and act on them, allowing you to check and compose messages, emails, calendar appointments, and much more. Currently, Siri is designed to work with Apple’s built in apps – it’s not clear if or when the technology will be opened up to third party developers. However, DejaOffice has the unique ability to connect with Apple’s built in apps. As such, DejaOffice is able to harness the full power of Siri and sync new or updated data back to your existing CRM solution. Doing so is simple. First, you’ll need to ensure that DejaOffice is set to sync with the native databases. To do this, just launch DejaOffice on your iPhone 4S, tap “Settings,” then “Sync.” From there, select “Sync with Apple’s Calendar” and “Sync with Apple’s Contacts” to enable syncing with the native databases. Once that’s enabled, press and hold the home button on your iPhone 4S to activate Siri. Say something like “Schedule lunch with John Smith at noon on Friday” and Siri will comply. The next time you sync DejaOffice via CompanionLink, that appointment will be transferred into Outlook, ACT!, Salesforce, or whatever CRM solution you’re using. It’s that easy!